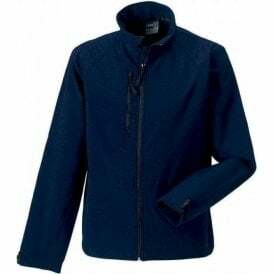 Softshell jackets are an evolution in outdoor clothing finding the middle ground between fleeces and waterproof jackets by blending the two together. Softshell jackets provide superior wind resistance compared to fleeces and have reduced condensation in contrast with a traditional waterproof layer. 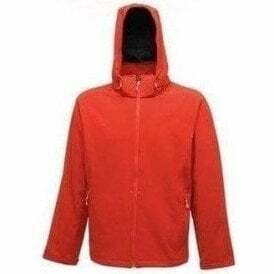 By reducing the layers required to stay insulated and dry this form of jacket is a huge must for outdoor workers. Some more key benefits of wearing a softshell jacket over a hardshell jacket are, mobility, flexibility and breathability. 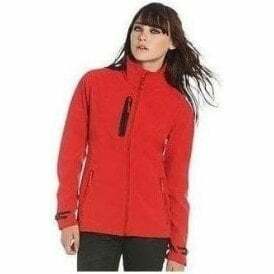 Brand Identity stocks a wide range of softshell jackets from well known brands including, Adidas, B&C Collection, Kariban, Regatta, Result, Russell and Spiro amongst many others. Softshell jackets are available for men, women and children, which come with colour and size options for you to choose from. The jackets can have your designs added at the minimal cost of £1.95 per design via print and embroidery, which helps you to meet your branding needs and provide your employees or members with the required uniform.